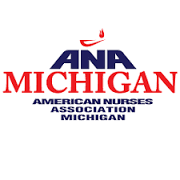 On behalf of the American Nurses Association (ANA)-Michigan, representing 147,234 registered nurses in Michigan, we are writing to request your co sponsorship of the National Nurse Act of 2015 (H.R. 379) (S. 1205) and express our full support for this legislation. Thank you to the Case Management Society of America (CMSA) for their continued support for The National Nurse Act (H.R. 379) and (S. 1205). Recently the CMSA Public Policy Committee invited NNNO President Teri Mills to provide a short presentation to explain this legislation via a national network webinar. Over 100 members from every region of the country participated. Helpful information was provided that included how to be an effective grassroots advocate. National Nurses Week (May 6-12) commemorates the many contributions nurses make each day that help to keep Americans safe and well. This year’s theme is “Culture of Safety-It Starts With You”! A culture of safety begins with promoting wellness and healthy living. Nurses across the country continue on their journey for a visible prominent National Nurse for Public Health, seeking passage of H.R. 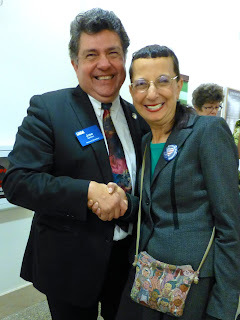 379 and S. 1205 The National Nurse Act of 2015. Designating the Chief Nurse Officer of the U.S. Public Health Service as the National Nurse for Public Health will enhance participation within the Medical Reserve Corps, strengthen existing public health infrastructure, and mobilize available resources of willing nurses and other healthcare workers within each community to deliver and reinforce messages of disease prevention. National Nurses Week is an opportunity to step forward and take action. Please visit the Take Action link at http://nationalnurse.org to locate your U.S. Representative and Senators. Your voice matters-please make it count! Thank you to the American Federation of Nurses and Health Care Professionals for including The National Nurse Act as part of their agenda for their national Virtual Lobby Day. Please join the nearly 400 individuals who have already used this extremely easy format to voice their support for this bill. Please share this link with others. Let’s create some bill buzz on Capitol Hill so that members of Congress know how serious we are about getting this bill passed! The following is a template letter for you to easily edit and send. As a nurse, concerned about the health of our nation, I work daily with patients and members of the public who would benefit from the expertise of a National Nurse for Public Health. Congress is taking notice by supporting The National Nurse Act (H.R. 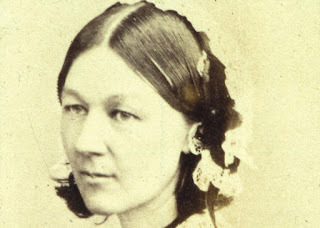 379 and S. 1205) that will provide this unique designation to an existing nursing position, the Chief Nurse Officer (CNO) of the Public Health Service (PHS). The goal is to create a more visible identity for the CNO to lead improvements in Americans’ health and raise the profile of the entire USPHS. Why is this action critically important? Chronic diseases, many which are preventable, are the most prevalent of all health problems. The potential of the nursing workforce to improve our nation’s health is too great a resource to waste. Nurses are more trusted and spend more time with patients than any other healthcare provider. Year after year, Gallup polls affirm that Americans respect and listen to nurses on health issues. The National Nurse Act of 2015 will highlight and expand their important roles, and will maximize contributions that nurses can make daily to promote wellness and disease prevention. May 6-12th is National Nurses Week. The theme this year is Culture of Safety-It Starts With You! There is no better time to validate the contributions of nurses, provide respect and express genuine appreciation for our valuable nursing workforce. I hope you feel the same and will sign up to co sponsor this important legislation.